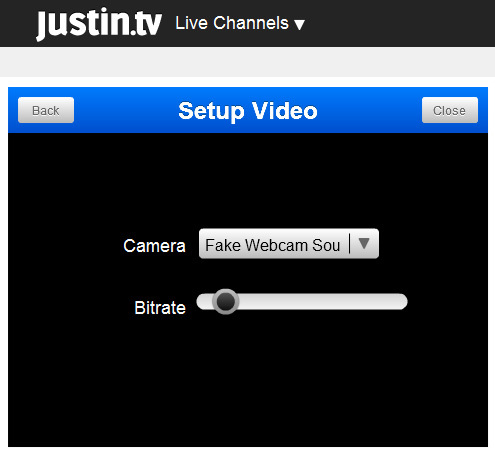 Configuration of Webcam Simulator in Justin.tv. 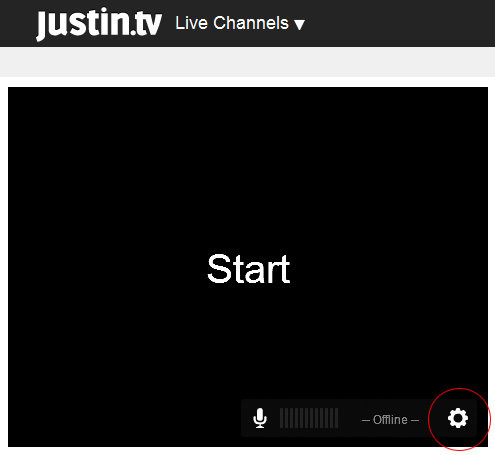 1 - Click on 'Webcam' button. 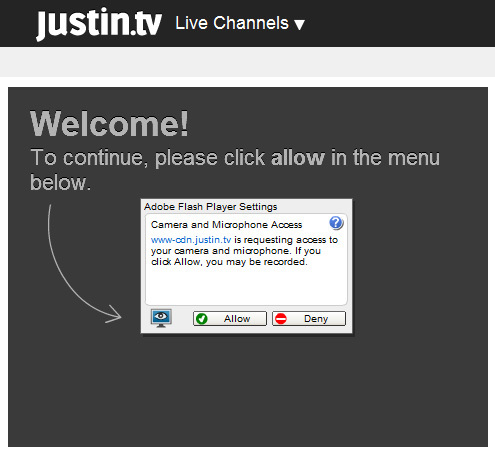 2 - 'Allow' the Camera and Microphone Access. 3 - Click on 'Settings' icon. 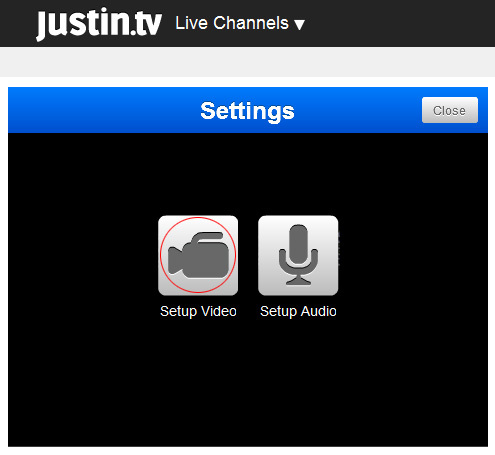 4 - Click on 'Setup Video' icon. 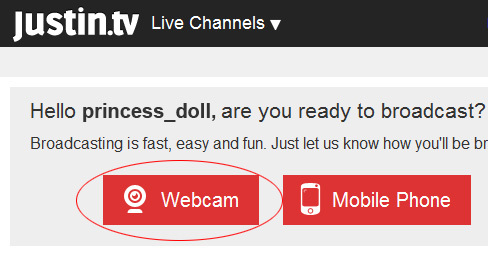 5 - Select 'Webcam Simulator Source V6.3' from the dropdown list and click 'Close' button.